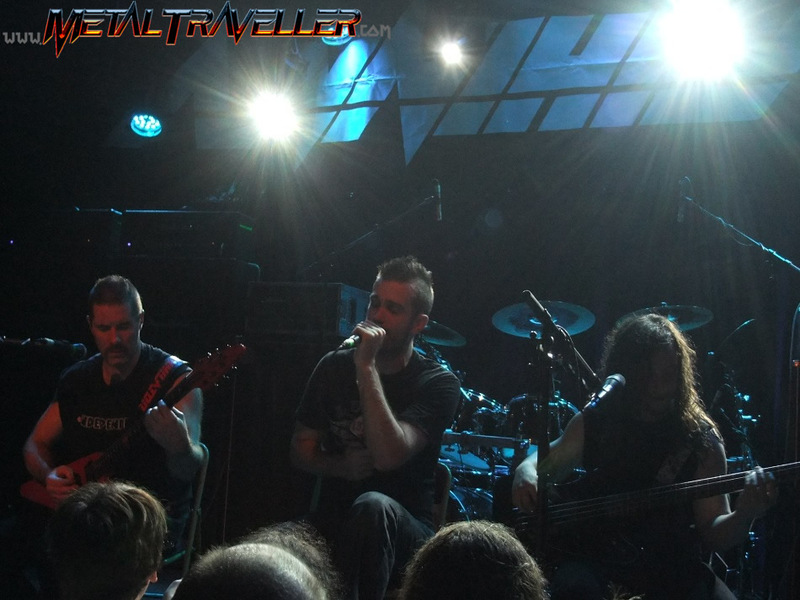 Annihilator planned a European Tour for the fall of 2010. Paris was the last date to be added... and we were lucky because it was the first date of the tour! The concert was held at Le Divan Du Monde, a small venue in Paris 18th district, an area with several concert venues. It's been 8 years since the last time I came to this venue! I saw Ronnie James Dio live at the Divan Du Monde in 2002 but not many bands I live have played here since then. Now that La Locomotive closed, there will certainly be more concerts here. The concert was not sold out. The balconies were not open to the audience. Not much promo was made, but everyone who didn't attend should regret it: this conert was incredible! 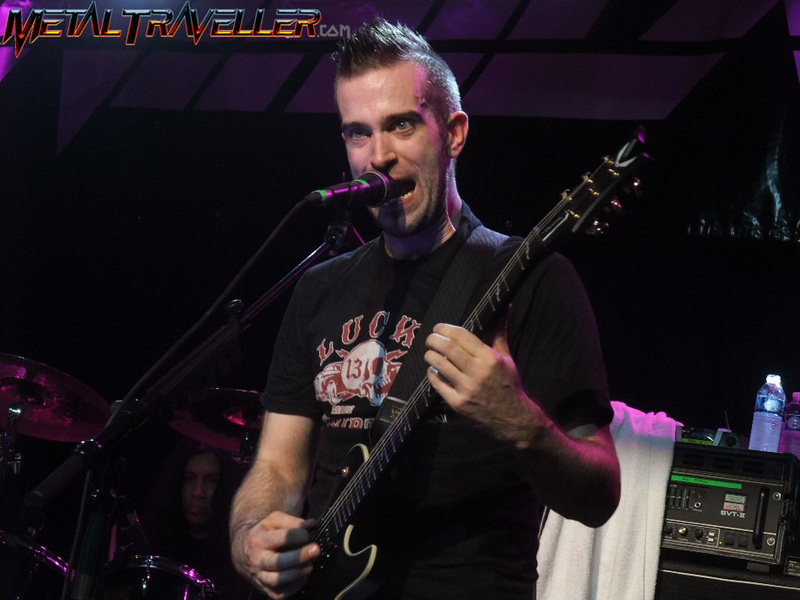 There were two new members on Annihilator's line-up: drummer Carlos from Italy and Alberto "Al" Campuzano on bass. As you can imagine, Jeff Waters chose great musicians for his new band. Al Campuzano did a great job as a bass player. He had to face the audience most of the time, as he was in the centre of the stage. He smiled all the time, and he seemed really happy to be on stage! Carlos is a very fast drummer, and also very calm. He plays very complicated parts and still seems peaceful. 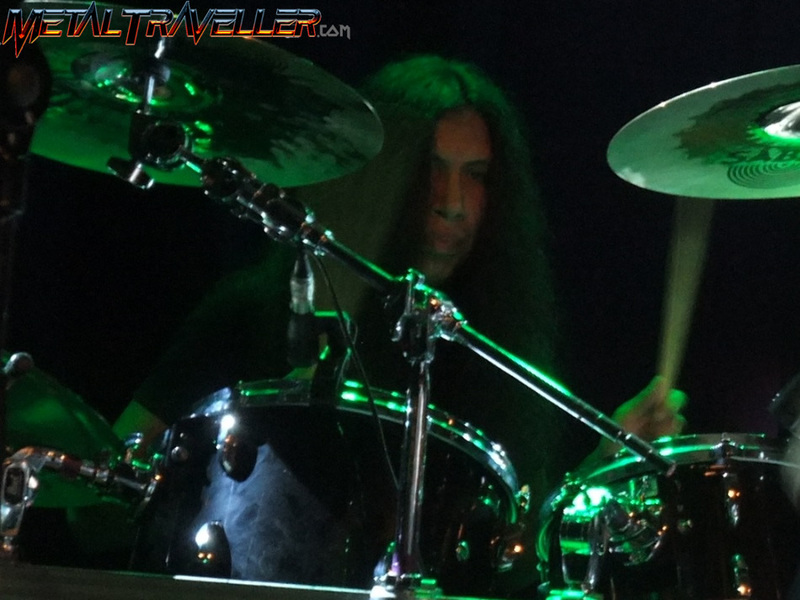 This reminded me of Megadeth's Shawn Dover, another amazing drummer with a similar attitude. Nevertheless, his drum lines are not very creative, but he's young, and I'm sure with some experience he'll be amazing. The lights were very good for such a small venue. The sound was good too, except for some small problems from time to time. Jeff Waters is a great frontman and he leads his band with brio. He played with different guitars, including guitars with lights on the frets (see picture on the left), and of course with the Epiphone Annihilation. Jeff Waters also did the lead vocals on a few songs like King Of The Kill, Hell Is A War or 21. So, with Dave Padden, we had a singer and guitar player on each side of the stage, with the bass player in the center. I think it's the only band to have such configuration. 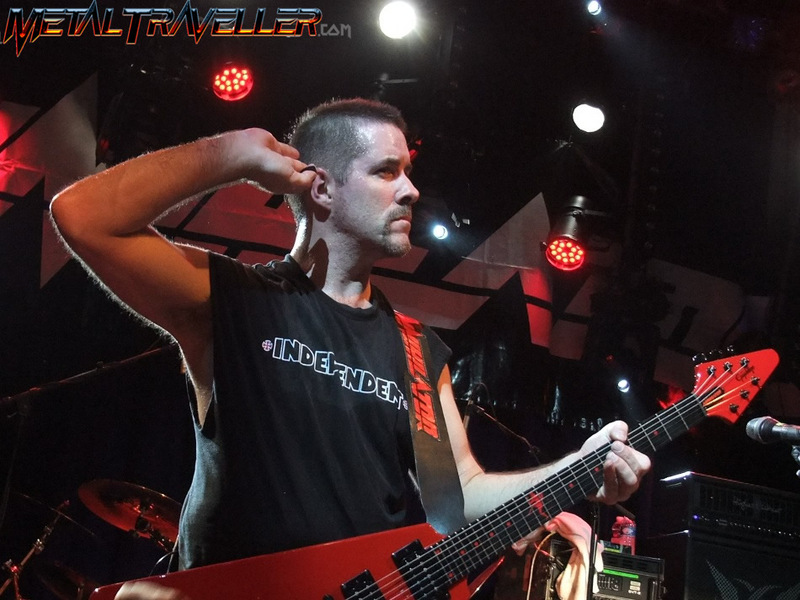 Dave Padden has become the voice of Annihilator. He has been singing in the band for longer than any other singer before. 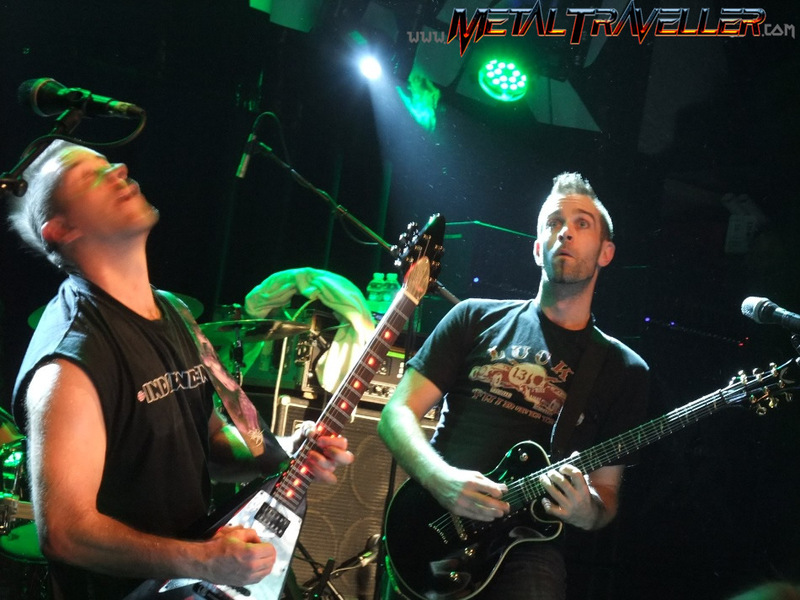 Dave was introduced by Jeff as "his brother, who has been in the band for years". He's also an amazing guitar player! 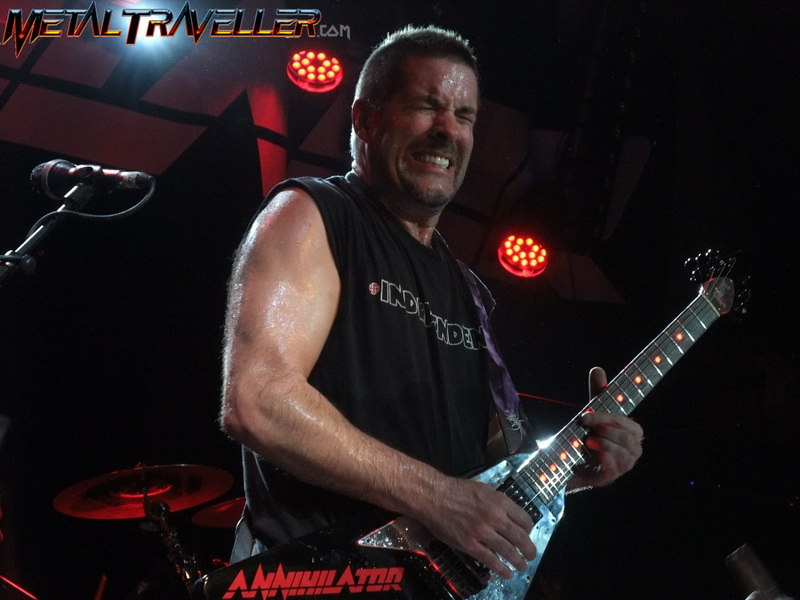 Have you ever tried to play Annihilator songs on guitar? OK, so that gives you an idea of how talented is this guy! Jeff Waters spoke some French with the audience. He reminded us that he's Canadian, though French is not his mother language. He said for example "Paris, tu veux avoir plus de... fun?" before King Of The Kill, or "I had too much fromage" ! 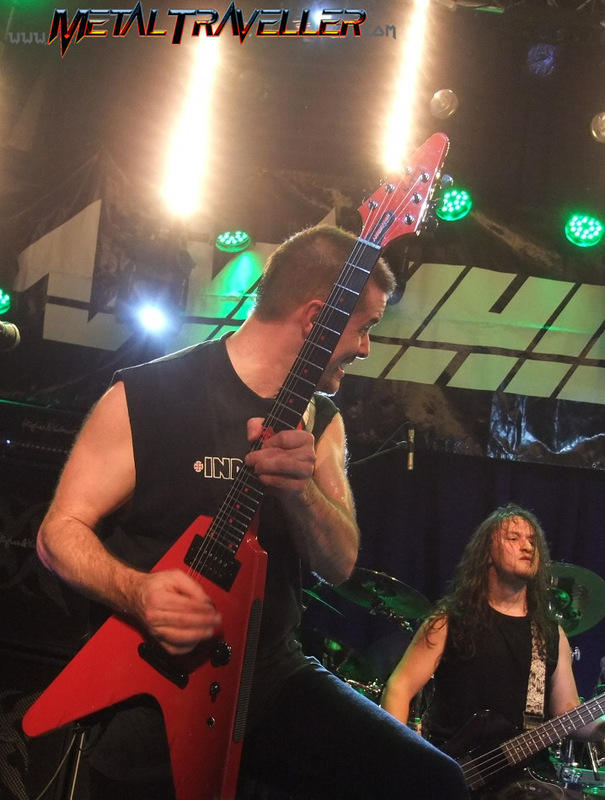 I loved Annihilator's setlist, but some people critizised it. I thought it was full of surprises like Tricks and Traps. 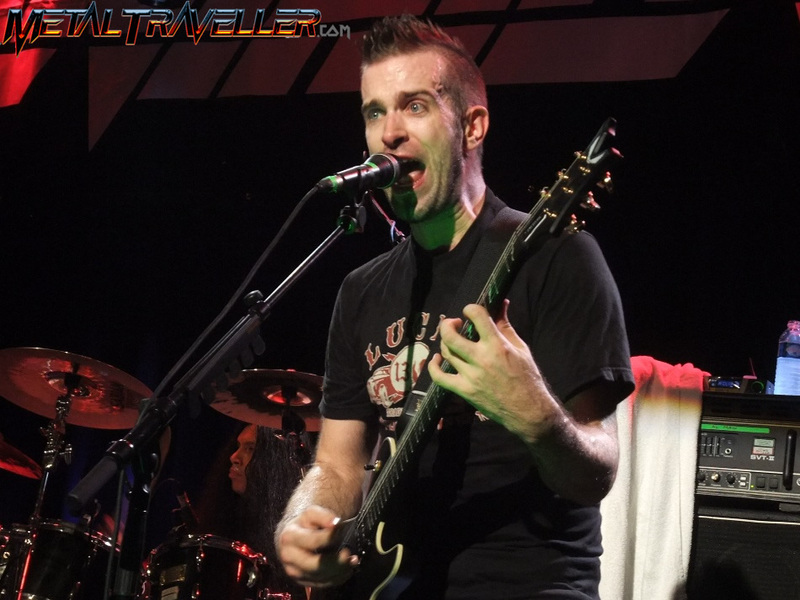 Jeff announced that on this tour they're playing "Some Bon Jovi and some Bee Gees"... He meant the ballds Phoenix Rising and Sounds Good To Me. There weren't played on accoustic guitar, but the versions were great. Dave was only singing, Al was on bass, and Jeff played guitar on clear sound. 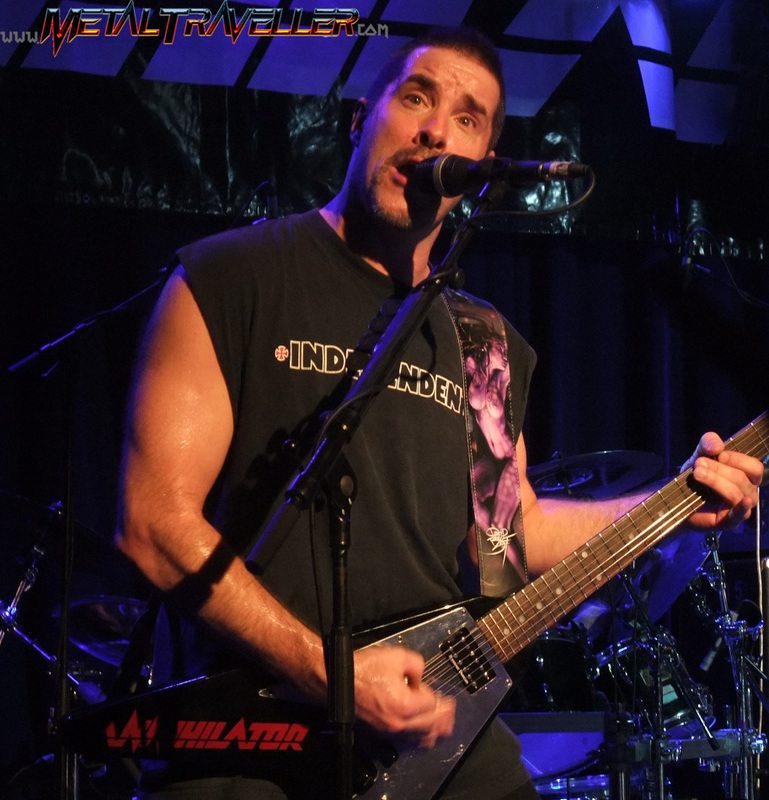 It was good to see a real Annihilator headlining show. Annihilator played at the Hellfest earlier this year, but this short festival show can't be compared with what we witnessed tonight! 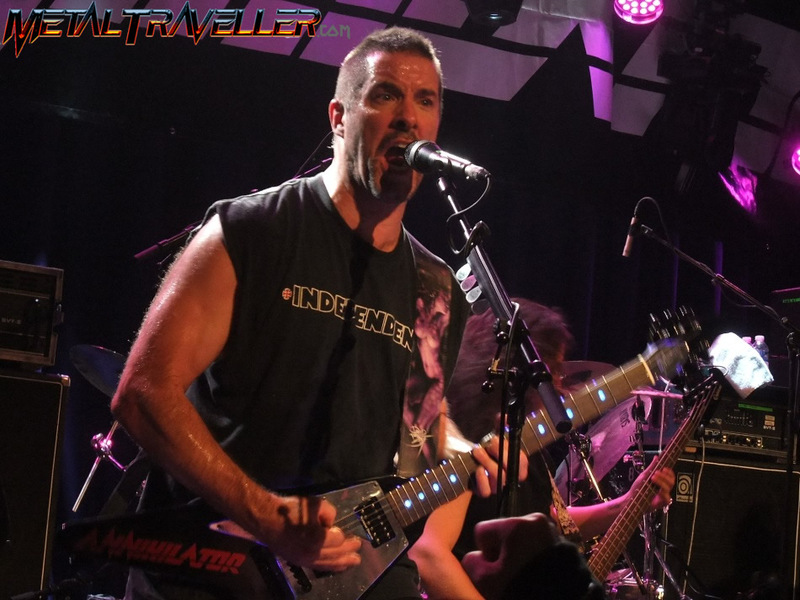 Annihilator played a show that will be remembered for a long time! 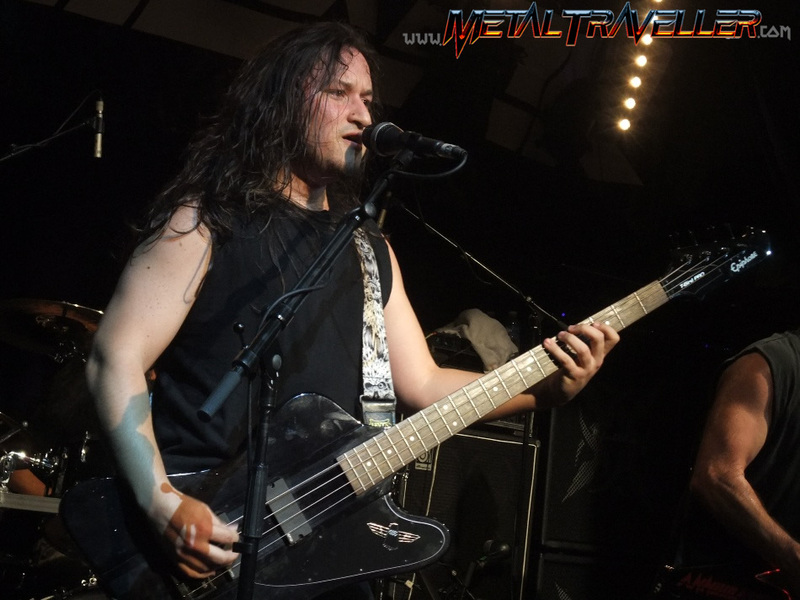 Almost 2 unforgettable hours of thrash metal, not be missed if they come anywhere near your hometown!